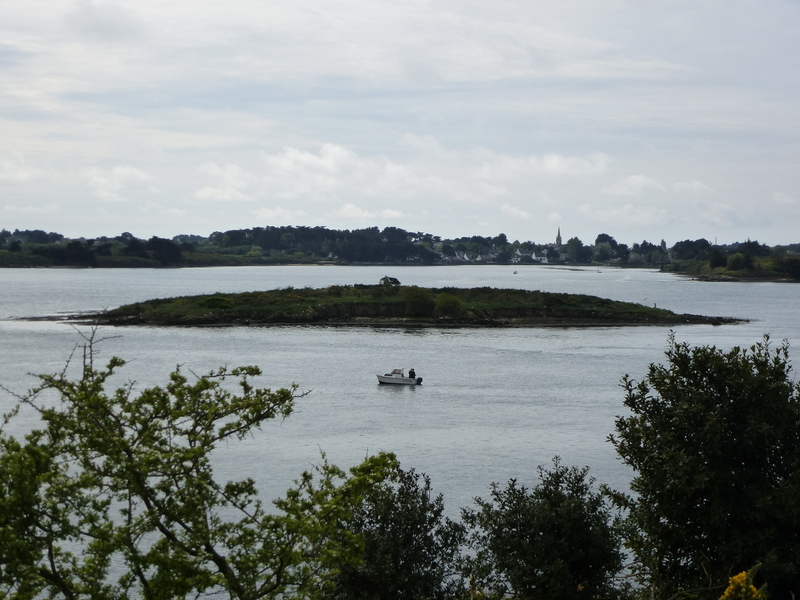 The Gulf of Morbihan is famous for its mild climate and pretty ports, which are popular with tourists and sailors alike. Today it is peppered with around forty islands of various shapes and sizes, but it was not always this way. Thousands of years ago this huge bay was a much dryer place, and before it was consumed by the sea, these islands were the highest hilltops of a large and complex prehistoric landscape. A number of the islands also feature fascinating megalithic monuments, and one of the most intriguing of these is the stone (semi)circles of Er Lannic. As a protected bird sanctuary, it is not possible to land on Er Lannic, but you can take a boat trip which skirts round its rocky shores. From a distance, the island looks rather craggy and uninviting, but as the boat approaches its southern side an interesting feature emerges. First you notice a huge standing stone towards the top of the island, then more stones pop up and soon a large semicircle of menhirs becomes clear. On the day of my visit, each stone seemed to be topped by its own proud seagull. In fact, many more of these stones lie beneath the waterline, and recent investigations have revealed another stone semicircle below the water. The largest stone measures an impressive 5.4 metres tall, and a number of cists containing bones, charcoal, flints and pottery were also discovered by modern archaeologists. Although the purpose of the monument is not clear, it has been dated to around 3000 BC. 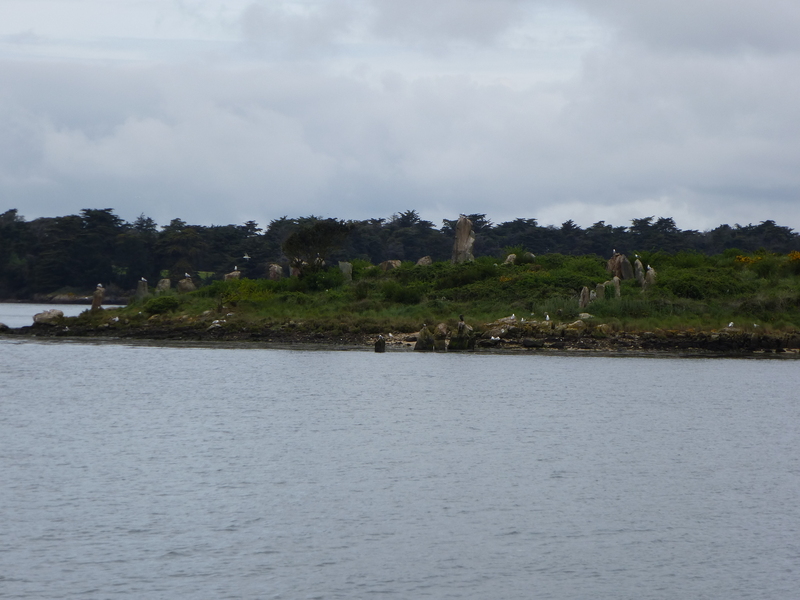 My visit to Er Lannic made me wonder what other magical treasures lie under the waves of the Gulf of Morbihan – it is surely monuments like this that gave rise to the local myth of Ys, an ancient city that once stood on the coast of Brittany which was destroyed by the a huge flood after its citizens descended into sin and debauchery.